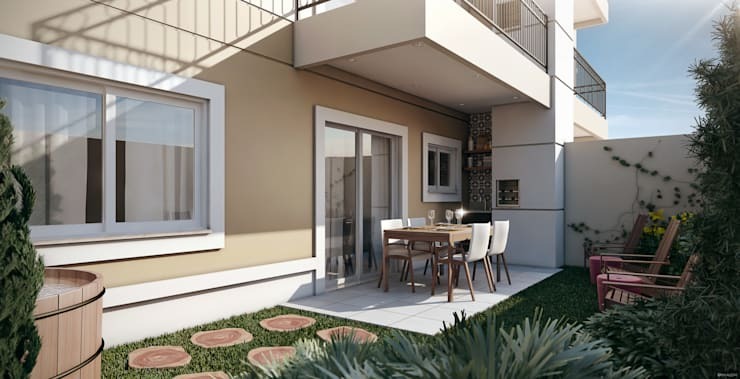 Having a small patio or garden doesn't mean that you have to go without a gorgeous outdoor space, as we're going to prove today! With a few simple touches, you can create a lovely garden alternative—and the extra bonus is that you don't need to be a proficient gardener either! 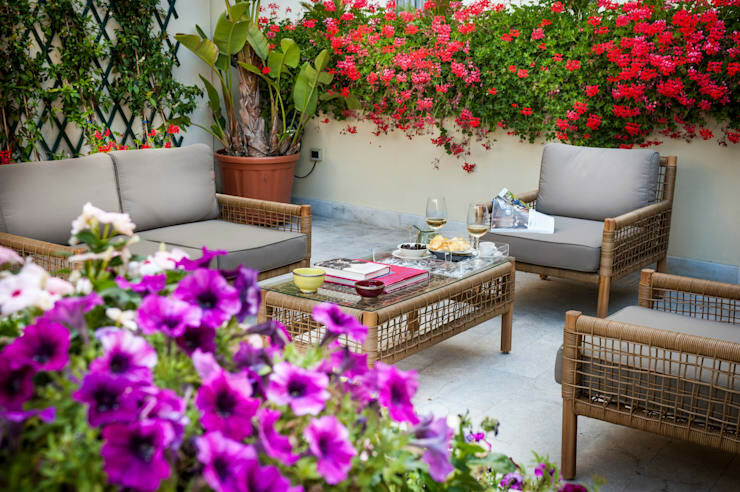 If you're keen to make more of a feature of your patio, but don't know how or where to begin, come with us now as we let you in on some fantastic tips and tricks that will have your space looking stunning in seconds! 1. A small section of lawn. 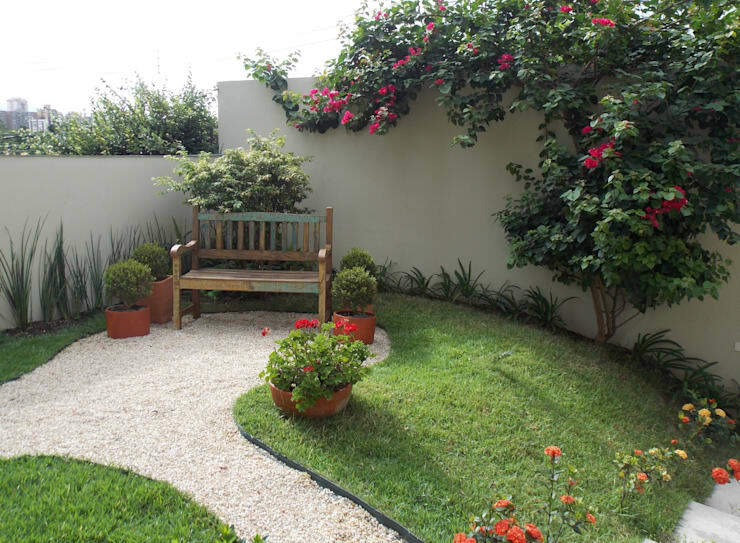 Small patios can look terrific with grass as the main feature, but if you don't fancy keeping a lawn in tip top condition, faux grass is a perfect alternative that needs no ongoing care. 2. Use colour and natural materials. The walls surrounding your patio are prime for an upgrade and we don't think you can go wrong with some bright paint! To really finish the look perfectly, some stone cladding will be an easy yet impactful addition as well. 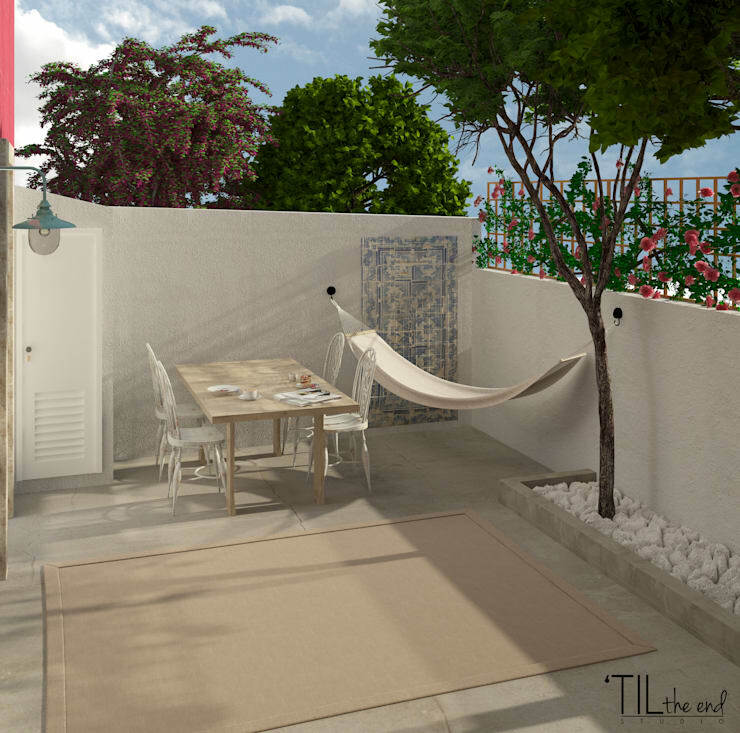 Less is so often more, when it comes to small patios. By all means add some dining furniture, but try to keep it small and simply finished, or you could swallow up all the space and make it hard to use. 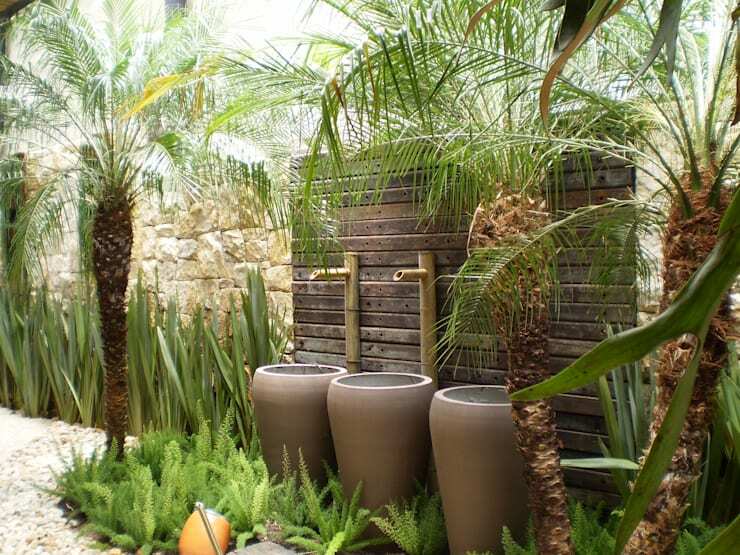 Tropical plants are fantastic for small patios, as they are striking and large, but can be housed in simple floor planters. Palms are such a good option, as they look great all year round. 5. Choose your plants well. If you prefer smaller blooms, we recommend choosing brightly-coloured flowers that you can plant in simple window boxes, around the edge of your patio. The vivid hues will instantly transform a plain space! Wooden rounds are a wonderful alternative to a traditional path when your patio is too small to accommodate one! Simple inch-thick slices, laid on your grass will look fantastic! 7. Country styling will work well. For a natural and fitting scheme for your small patio, would you consider country chic? 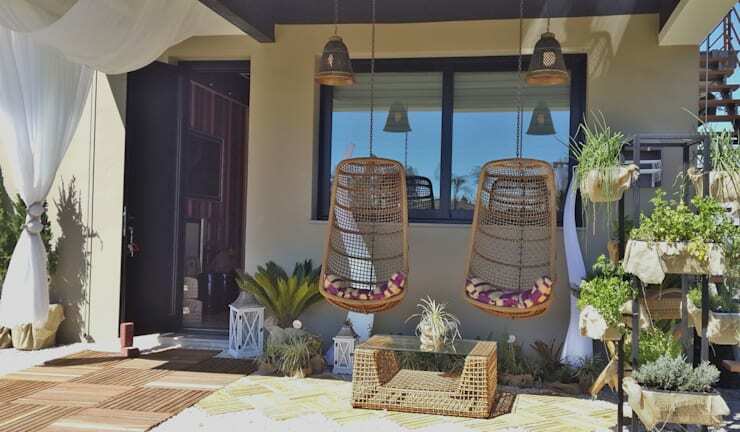 Think about natural materials, such as wicker and wood and don't shy away from hanging chairs! 8. Textured walls are fantastic. Adding texture to your patio walls will instantly give the whole space a new feeling of rustic and tactile gorgeousness. Again, stone cladding is great for this, but there are specialist paints that do all the hard work for you as well! 9. 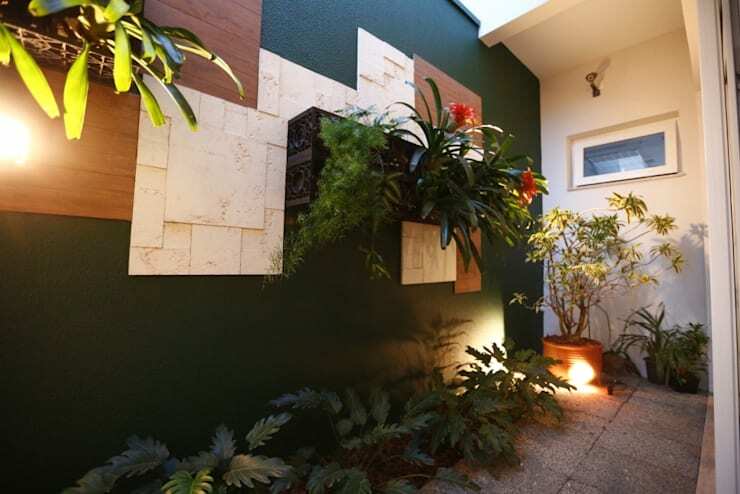 Create a vertical garden. 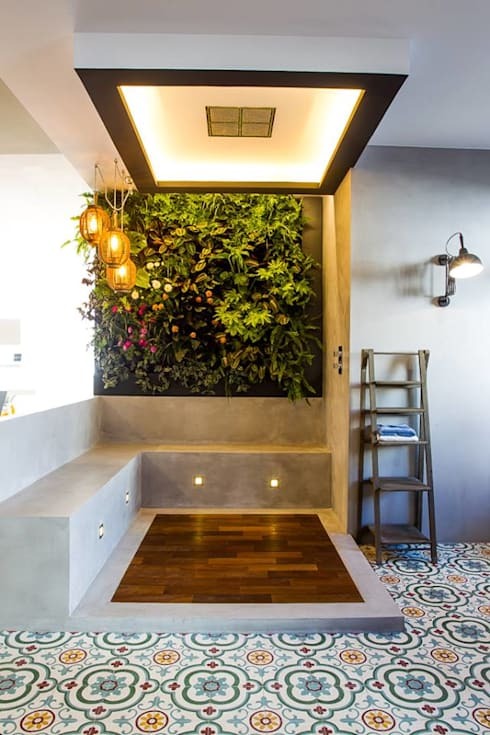 Vertical gardens look great and need very little ongoing care, plus, they free up all of the floor space on a small patio! Wall-mount planters or frames and simply plant some of your favourite blooms for an artistic look. 10. Don't forget the lighting! As a wonderful finishing touch for your small patio, you need to get your lighting on point. If you have stunning plants in situ, uplighters will make the most of them, but sunken spotlights work for a sleek finish too! 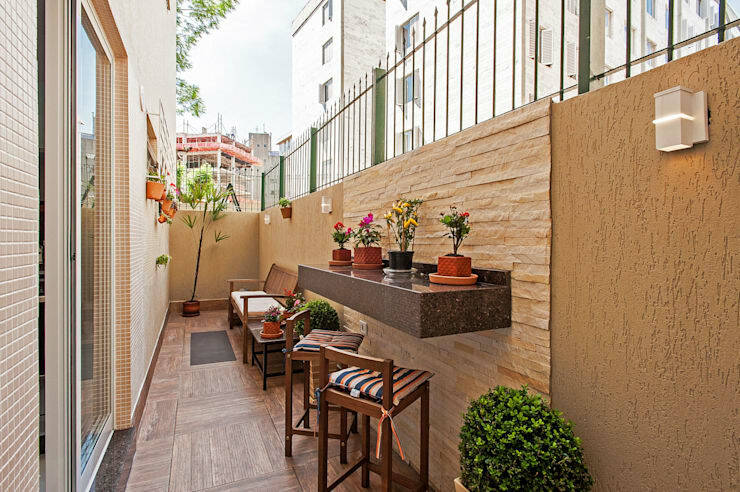 For some balcony inspiration, take a look at this Ideabook: 6 creative ideas for small balconies. 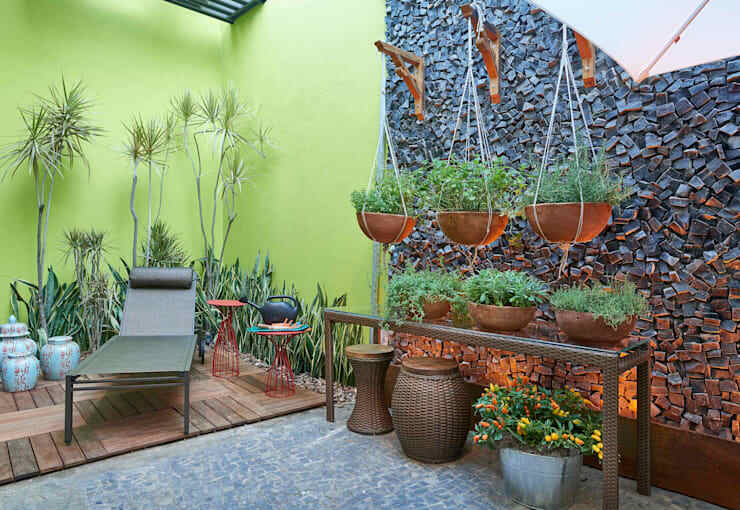 Which of these ideas would be perfect for your patio?